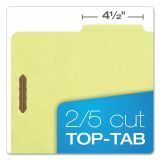 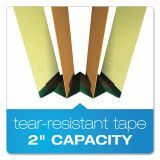 Pendaflex Six-Section Pressboard Folders, Legal, 2/5 Tab, Light Green, 10/Box - Classification folders feature durable, 25 point Pressboard to resist moisture and dirt. 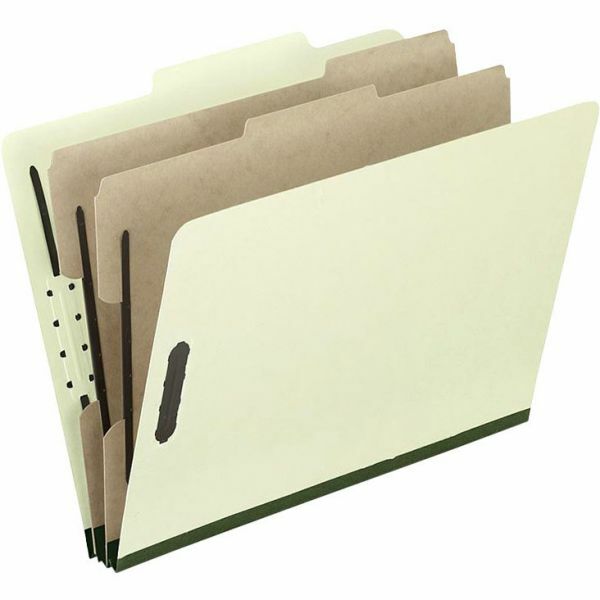 Two dividers are made of top-quality, 17 point, acid-free stock. 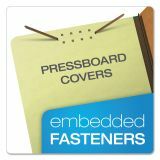 Covers have 2 capacity bonded fasteners. 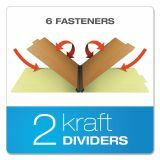 17 point dividers have 1" capacity dual fasteners. 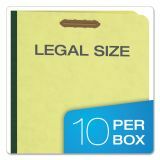 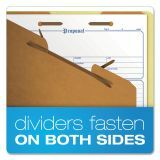 Legal-size folders also offer 2/5-cut tabs, 2" expansion and reinforced tape gussets.